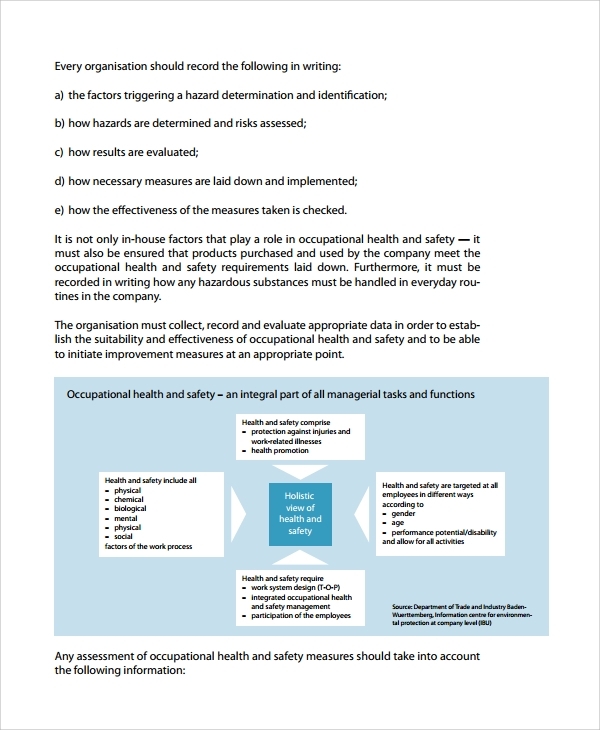 The samples for measuring and making a report of the health and safety measures, in some department or occupation, organization or situation etc, are available online through these assessment forms. 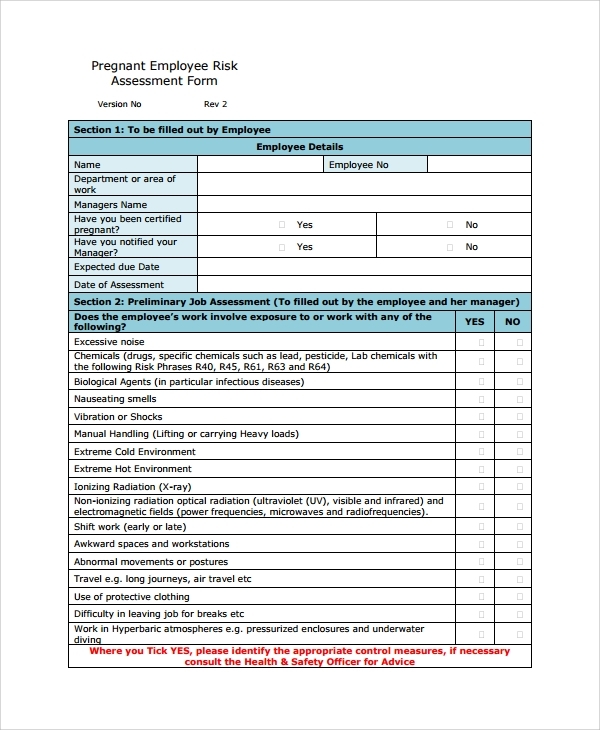 The assessment forms or sample need assessment would give you a precise idea of how to make the report of health and safety standards. 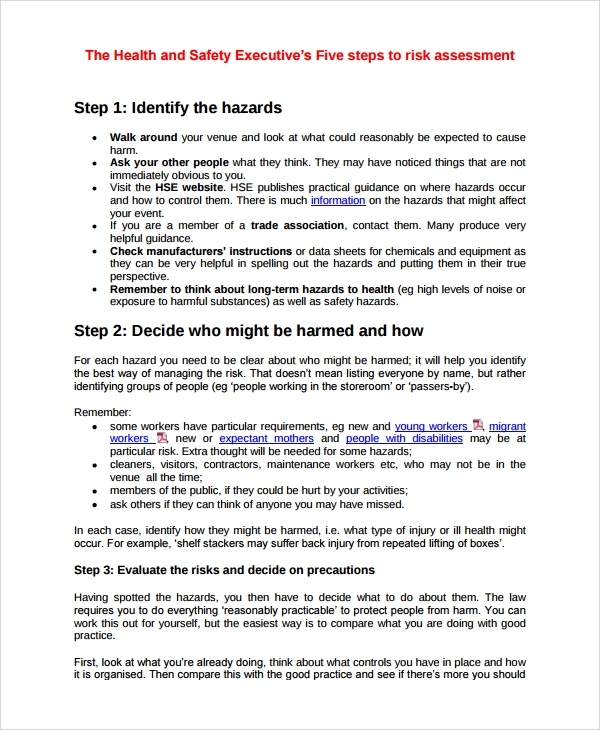 Specific Risk Assessment Templates styles are made available online to help you make an assessment in a hurry when you don’t have the time to make the format. The maternity health and safety assessment report can be made when you have all the reports and the checkup data details of the expecting mother, to fill up in the form, and analyze the whole to get to a report or conclusion. 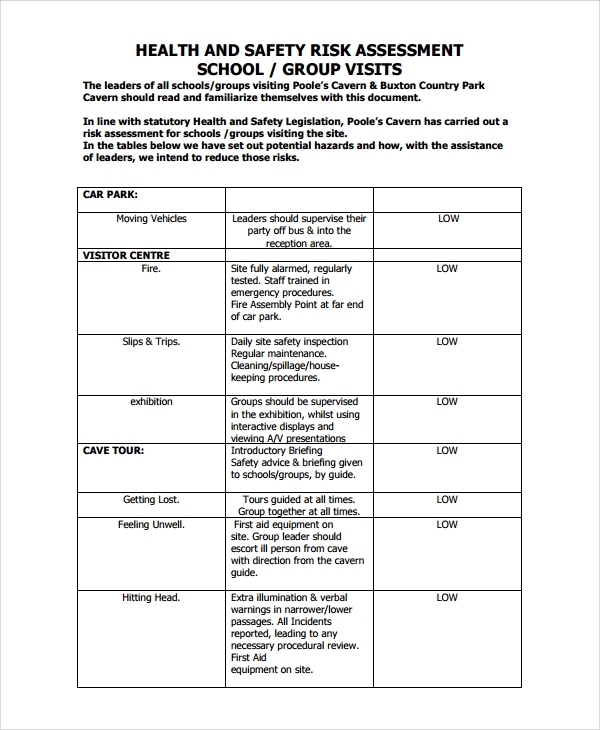 This can be done by a health officer or medical expert by following this sample format. The occupational hazards to health and safety can be measured well when a person joins a job, stays in long duty hours in a factory, industry, outdoors or construction site etc. This form is highly recommended for use in making such a report. 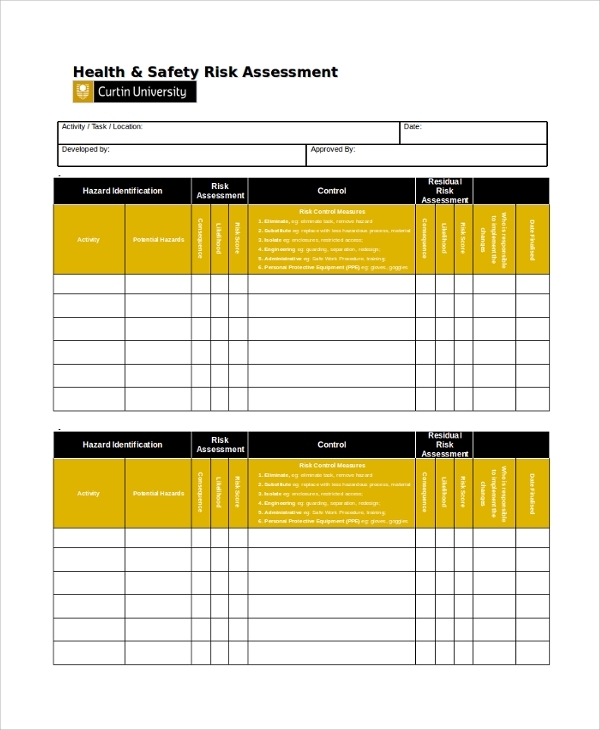 The health and safety measures and risk analysis template is used for the employees working inside an office to help with the making of reports. 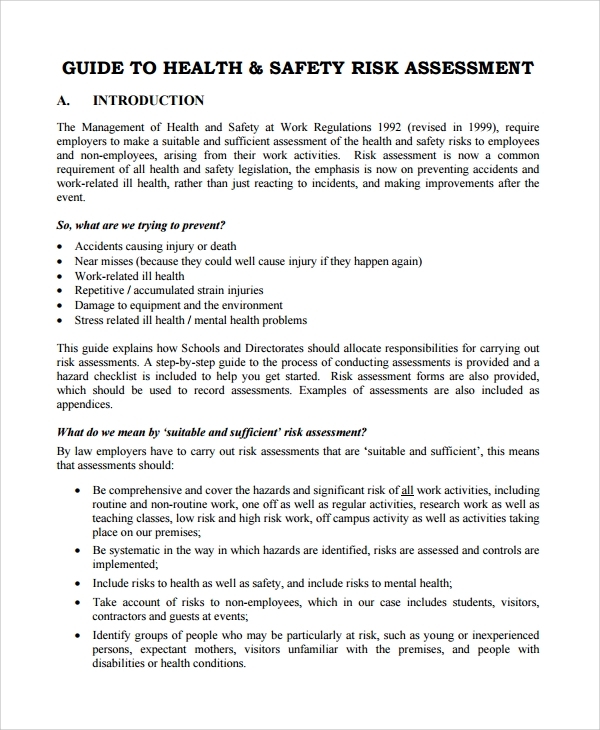 This one guides to assess the health and safety risks and assurances inside the office. 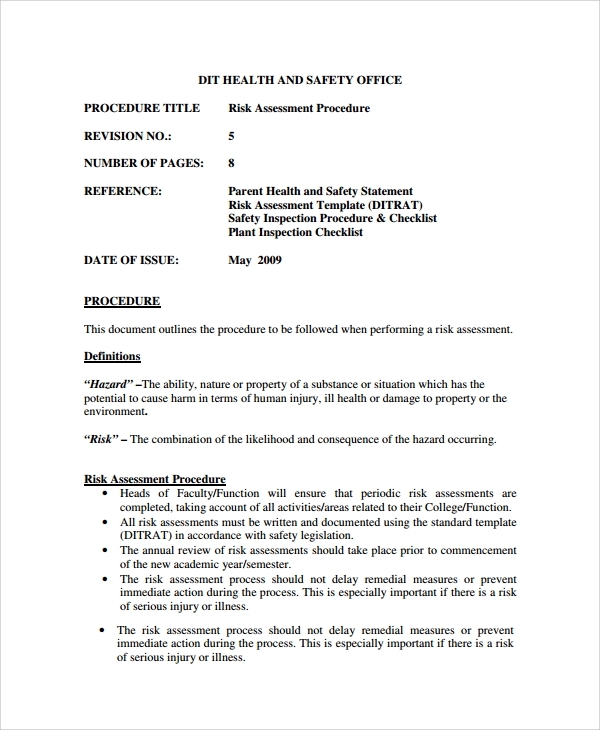 What is the Use of the Sample Health and Safety Risk Assessment? What are the Benefits of Sample Health and Safety Risk Assessment? This will help you prepare for many issues beforehand and most importantly will assure people working with you, that their safety is the highest concern for you. However, making such detailed reports is a challenge without a proper format. Many questions and conditions are discussed in it, and you must get the sample or template to get this structure. Health and safety standards are generally used to measure the amount of risk a person or a team may be facing. 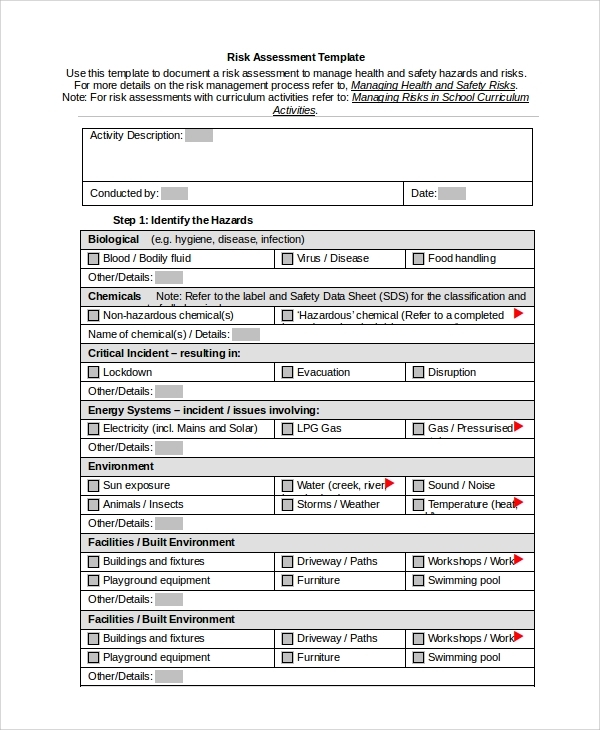 To evaluate that in details you need forms like psychosocial assessment form, and such forms with readymade report examples serve a great guide.